John Beckett was born in Thurlwood, Cheshire, on 11th October, 1894. After being educated at Latymer Secondary School he began work as a shop assistant at the age of fifteen. A member of the British Army in the First World War he established the National Union of of Ex-Servicemen, a left-wing alternative to the British Legion, in 1918. He also joined the Independent Labour Party and was a member of Hackney Borough Council (1919-22) and shared a house in Limehouse with Clement Attlee. In the 1924 General Election Beckett became the Labour Party's youngest MP when he was elected to the House of Commons for Gateshead. 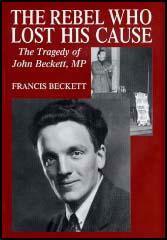 Beckett was a rebellious MP and in 1927 he was suspended from Parliament for calling Stanley Baldwin a liar. Beckett won his new constituency, Peckham in London, In the 1929 General Election. He was in trouble again in 1930 when he protested against government policies by stealing the mace in the House of Commons. Beckett also hit a parliamentary attendant after he had assaulted his friend, James Maxton. Beckett refused to support Ramsay MacDonald and his National Government in 1931. He stood as a member of the Independent Labour Party in the 1931 General Election but was defeated. 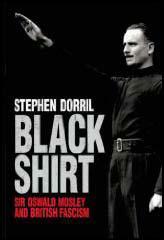 In March 1934 Beckett joined the British Union of Fascists (BUF) led by Oswald Mosley. The BUF was strongly anti-communist and argued for a programme of economic revival based on government spending and protectionism. By 1934 Mosley was expressing strong anti-Semitic views and provocative marches through Jewish districts in London lead to riots. The passing of the 1936 Public Order Act that made the wearing of political uniforms and private armies illegal, using threatening and abusive words a criminal offence, and gave the Home Secretary the powers to ban marches, completely undermined the activities of the BUF. Beckett became Director of Publications and during the Second World War was imprisoned under the Defence of the Realm Act. John Beckett died in December 1964. (1) John Beckett wrote about Clement Attlee's decision to vote for a cut in the unemployment benefit in his unpublished autobiography. It would have seemed impossible to me that a kind, lovable man might be so corrupted by the parliamentary system that he could represent the people of the abyss and yet vote for two shillings a week for their children. (2) John Beckett was a great supporter of John Wheatley and was devastated by his death in 1930. James Maxton and I talked of the necessity for carrying on the work that Wheatley had left to our hand but in our hearts we knew that it could not be done. We were the men with whom Wheatley might have built civilization in Britain, but without him - we could only hope to fight on, whatever the consequence might be. On Maxton's frail shoulders had fallen the sole burden of leadership, and I saw much of him at that time. I have never associated with a kinder, more impeccably honesty, loyal and courageous man; but he is without ambition, has no patience for detail, and a queer philosophy adapted to his inherent laziness which makes him an impossible leader for any movement. His politics are socialist, but his habits of thought and temperament are completely anarchist. He was a rebel, sincerely outraged by poverty and injustice and human suffering. He was loveable in his utter devotion. He might have become a great personal force and it was sad to see him wasted when he succumbed to the drive and force of Mosley's personality. There is no evidence that Beckett was anti-Semitic before joining Mosley, but he does seem to have been psychologically ready to endorse the anti-Semitism he found in the BUF. And yet all this time he guarded a secret - guarded it so well that I only discovered it years after his death, and it has never been published before. He was, strictly speaking, a Jew, because his mother was a Jew. He denied it when there was a rumour in BUF circles. It is a surprising and rather shocking lie from a man who was, most of the time, more truthful than was good for him. He was the most unlikely fascist you could imagine. He was irreverent, spontaneous, funny. He loathed accepting orders. He spoke and wrote with fluency, humour, logic - the weapons of a democratic politician, not a demagogue. He had no time for the trappings of fascism, which he called "heel-clicking and petty militarism". He did not have the proper reverence and admiration for The Leader. He referred to Mosley as 'the Bleeder'. Mosley, who was a textbook fascist leader resented this: Beckett was not a textbook fascist lieutenant. He was shocked by some of the people who were attracted to fascism because it enabled them to strut about self-importantly in a uniform. He does not seem to have realised that all this was an intrinsic part of the creed he had embraced.